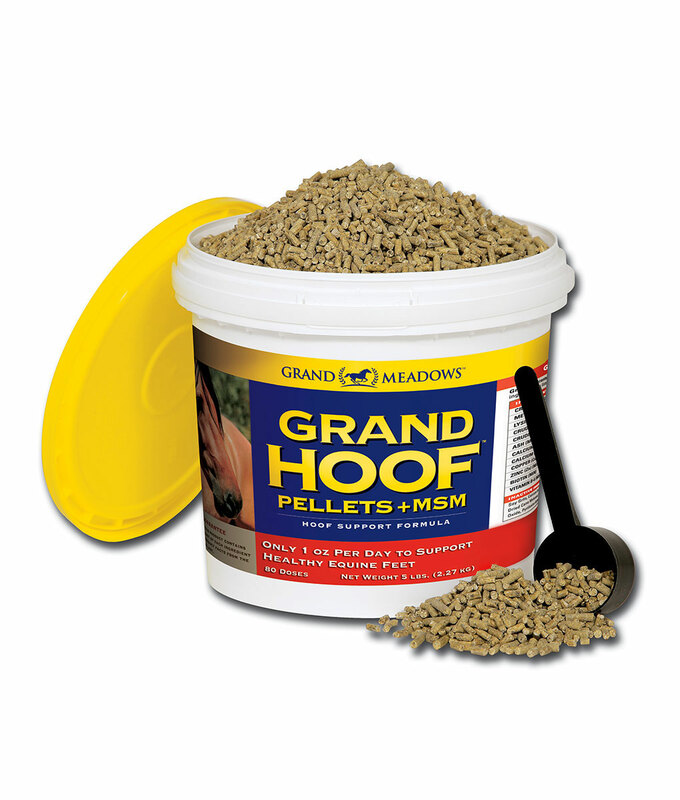 Grand Hoof’s original formula was developed over 20 years ago and Grand Hoof Pellets+ MSM offers a very similar product in an extremely palatable 1oz pellet and the addition of 5000mg of MSM. 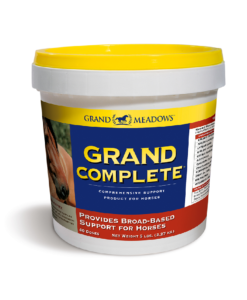 This potent formula will give you the best and fastest results – the results you and your farrier are looking for. 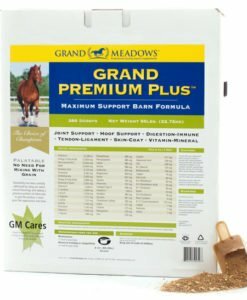 Biotin -stimulates keratin production in the hoof’s laminae and coronary band to support the hoof wall, frog and white line, minimizing weak walls and cracks and protecting the exterior hoof wall from moisture damage. Don’t be fooled that more is better. Many companies add higher levels of biotin, but use a diluted 1% triturated form. We tested a number of popular brands with high Biotin claims and found actual ingredients didn’t match label claims. 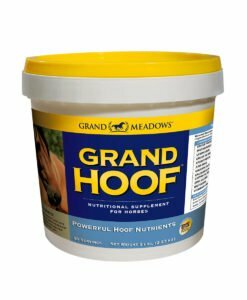 Grand Hoof formulas use a concentrated pure grade of stabilized Biotin and the proper ratio of hoof-building nutrients. Results from research prove just 15-20 mg of biotin works.